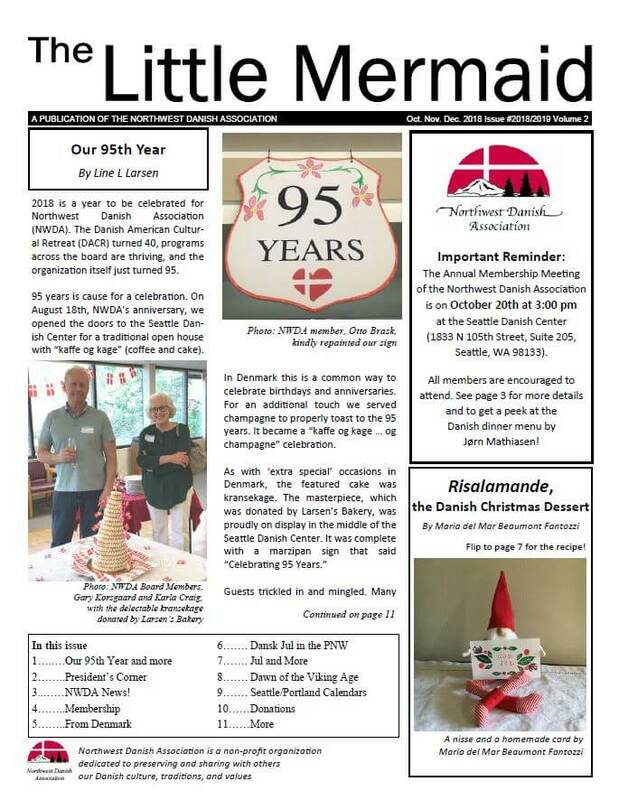 The newsletter features news about Danish and other Nordic events in the Pacific Northwest. Each issue also features articles about Denmark. In order to receive a printed copy of our newsletter, be sure to become a member. Printed copies are available to NWDA members at a cost of $15 per year. Become a member today! For current updates on all our events and activities, sign up for our weekly e-bulletin!